The paper packet for E.S.E. 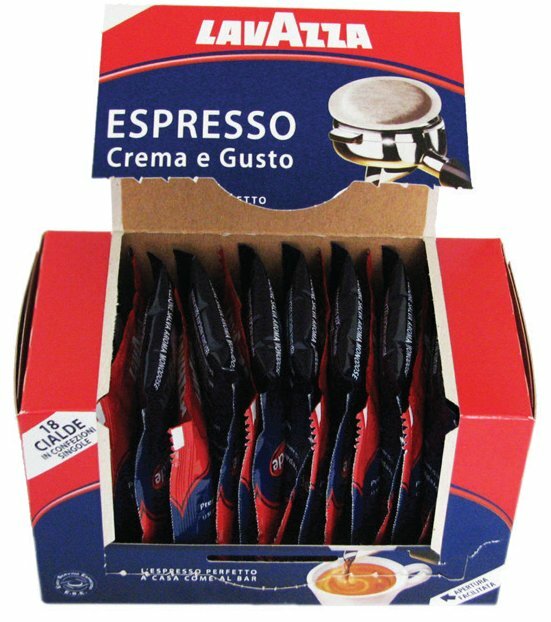 coffee pods from the Espresso – Crema e Gusto line was reduced in weight by 9.6% in respect to the previous packaging. This packet, in its previous version and after the intervention, is composed of 85% recycled paper. The partnership with IPI SpA - SEDA Group permitted, in addition to savings in raw materials, optimisation of production waste, with a reduction of material waste of 50.8%, as well as passage to acrylic paint as opposed to UV finishing/polishing. These interventions reduced energy consumption by 75%. Thanks to lighter weight packaging, changing the finish and reduced production waste, improvement was recorded in all of the environmental indicators under consideration.